I've never done non beauty favourites before but after loving watching a couple of video versions I wanted to share some of my favourites. The first has to be babies breath flowers which I've had such a hard time finding in shops recently. My local Asda used to have them amongst all the usual flowers but have stopped selling them for some reason. After a couple of other unsuccessful shopping trips, I finally found them in Marks & Spencers. Aside from peonies and tulips, they have to be my favourite flowers and I love how they look in a nice vase in my room. I currently have them scattered about on my bedside table and dressing table. They also last a really long time compared to other flowers. For our food shop the other week we made an Ocado order which inevitably means we add food that we don't really need but can't get in Asda. 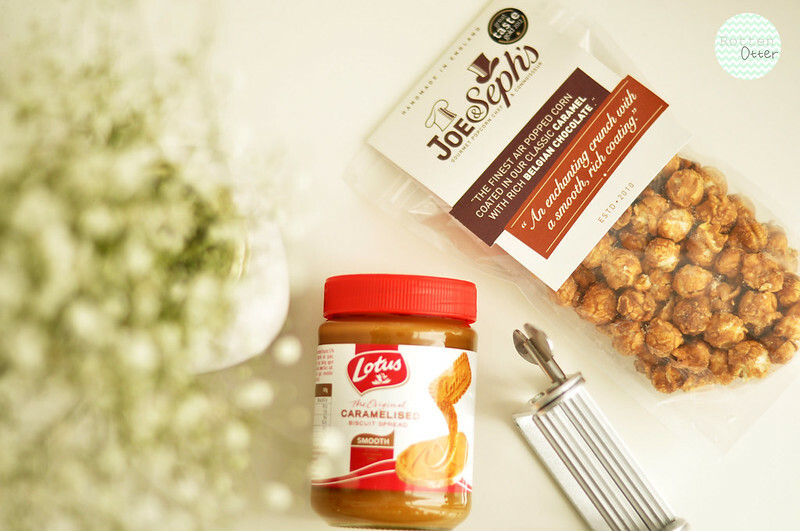 First up was the Lotus Caramelised Biscuit Spread which was sold out last time we made an order. I still have no idea what you're really meant to do with it really but it tastes amazing. I've just been having a little bit of it with a sliced apple as I find it's a bit too sickly to just have on toast. Another food item we added to our order was a couple of bags of popcorn from Joe & Seph's. They're ridiculously expensive for how much popcorn you actually get but who can resist caramel and chocolate or caramel and peanut butter?? 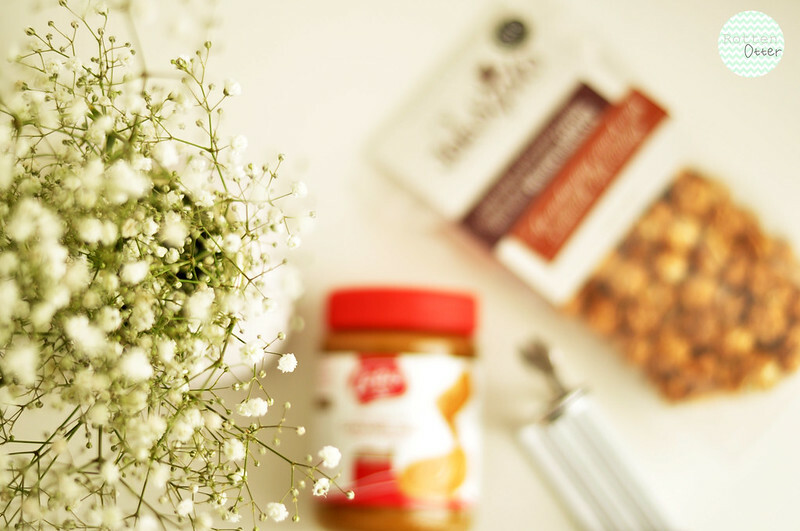 I'm currently eating some of the peanut butter one whilst writing this post and it tastes so good! Although technically this is sort of a beauty item, I wanted to include it anyway and it's my tube squeezer. Such a good invention and I wish I'd heard about them sooner as they really do help to use every last bit of product in a tube. I also love the pattern this makes on metal tubes and it's great for getting every last bit of toothpaste. You can get all sorts of tube squeezers but I prefer the metal version.